“Want fries with that?” squawked the drive-through speaker. “Sure,” the driver mumbled, and drove forward to pay at the first window. He’d made a choice. Or had he? We like to think we make choices all the time. We choose who we marry or live with. We choose what we eat, where we go, who we hang out with, our clothing, our religious beliefs, the products we buy, even the words we say as we wander through our day. 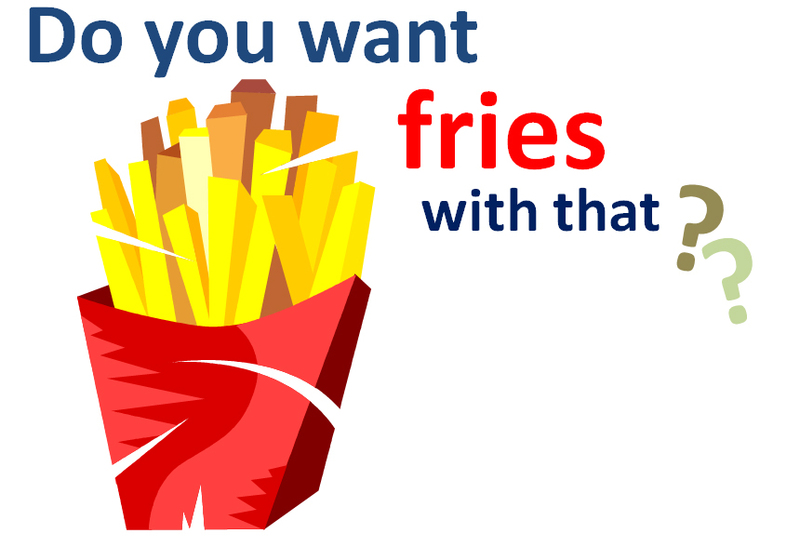 So the guy in the fast-food drive-through chose the fries…right? I truly doubt it. 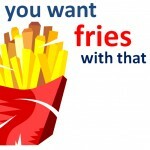 Statistically, how often do you think he’s answered the question of whether he wants fries with that with a no? He didn’t make a choice. He did what he always does. Most of our choices were actually made a long time ago. We decided that as the second-born in our household, we could never be as good as our older sibling. That was taught to us in 100 different ways. Choosing to accept it and move on was necessary for childhood survival. We chose how to define love and what love looked like. We decided how we could influence others and get our way. We decided how parents ruled or guided a household, and when we should make ourselves scarce because Daddy wasn’t sober. We may have decided that we could be anything if allowed to let our imaginations run wild. Or we may have decided we’d never be good at anything because we routinely struck out in Little League. It’s possible our drive-through hero actually chose the fries with his meal. Perhaps he’d been on a diet for three months, lost 10 pounds and chosen to not take fries on the previous 15 trips to this drive-through window, and was rewarding himself. It’s possible. So if as Stephen Covey said, “We are where we are today because of the choices we made yesterday,” let’s look at some of those choices and ask how they’re working for us. It’s an easy thing (and the result of an earlier decision) to blame or credit something or someone else for our current condition. But we really make statements like the following because the occurrence resulted in a decision upon which we eventually wrote a rule for our lives. · I didn’t pick my parents. · My teachers called me stupid. · You’re late! You’re always late! · You got 96 out of 100? You can do better than that. · I was always loved. Then there’s the finish-your-plate rule. “Think of the starving (insert nationality here),” Mom said as she implored you to clean your plate. Now you’re 40 pounds overweight, and those words still run your life, especially at Sunday brunches. Think of the thousands of messages you absorbed from your parents, church, school, etc. and look at your reactions to daily occurrences. Think you’re choosing? Really? Are you making a decision that’s different from the way you were molded? Not unless you’ve made a new choice…and that would be to review some of the old ones that led you to create rules that aren’t serving you very well today, and choosing something new.